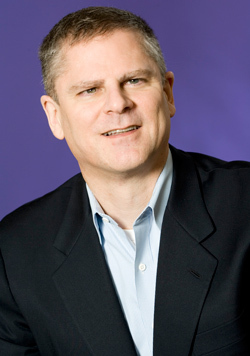 Meet Phil Fernandez, CEO of Marketo, and believer that cold calling should go the way of the dinosaur. When he was still a kid, Phil Fernandez loved to paint and sculpt. So much that he devoted 12 years (all the way through college) to such artistic pursuits. Then, armed with a Stanford degree, Fernandez put down the brushes and chisels and “discovered math and computers.” He got a job at a software company and never looked back. That was 30 years ago. Rather than take a rococo route and festoon B2B marketing and sales with more unnecessary layers, Fernandez chose to upend the prevailing revenue-generating methodology. By challenging age-old sales wisdom, Marketo cuts the clutter and generates a Mondrian-like simplicity which strips down the selling process right at the start of the prospect stage. That’s a lot of dough, even though most companies can’t even manage all the leads they get. Marketo’s proprietary software helps wade through pools of potential customers to identify the most promising ones. Streamlining this process can increase top line revenue up to 40 percent, he says. Sound too good to be true? Since Marketo is its own best customer, the company’s numbers speak for themselves. Now just five years old, Marketo’s dominating the marketing automation space with over 1,800 customers, including Intel, Dell, and Kelly Services, as well as a number of small- to medium-sized businesses. Last year Marketo snagged $50 million in funding from Battery Ventures (even though Fernandez wasn’t actively seeking capital). Fernandez says it grew 140 percent between 2010-2011 and he expects another 100 percent increase this year to about $50 million in revenue. Beyond Marketo’s buy-in for its own product, Fernandez practices what he preaches in all aspects of his leadership. Meetings, the bane of every corporate entity, are tackled with the same precision as the clutter of cold calling. “I’m not a big rules guy but we don’t allow laptops and phones in meetings so we can talk a lot together about real issues and direction,” he says. Far from falling prey to the latest trend, Fernandez prefers to build businesses for the long term, “that have the potential to be valuable and go public, to do something of substance,” he says. As a veteran of two other startup-to-IPO enterprises, Epiphany and Red Brick Systems, Fernandez has seen the wisdom of sticking with a set of core values and getting the staff aligned with them. To grow a business that’s fast and durable, says Fernandez, it’s all about moving the ball forward–even a little bit–and making every day count. As the company approaches the $60 million revenue range, sustainable growth is hard work. Businesses growing from a great idea to a big company are in their “teen years,” says Fernandez, a time when it’s easy to get out of balance by focusing on products at the expense of customer support. So he gets his hand in on everything from sales calls to hosting software in the cloud.